A simple change to the nationality law—which currently promotes statelessness—could improve the livelihoods of thousands in Madagascar. A contribution to the openGlobalRights debate on economic and social rights. Little explanation is needed to imagine the impact of Madagascar’s 2009 coup and resulting five-years of illegitimate rule on respect for human rights in the country. Perhaps most famously known in the west for its lemurs, vanilla export or animated films, the country plummeted into new depths of poverty as the effects of an inefficient rule of law took hold and which led to a spate of unlawful killings and many other abuses by the security forces. Yet since the democratically elected President, Hery Rajaonarimampianina, assumed the leadership in 2014 the state’s protection of its citizens’ rights is looking more positive. In January the country abolished the death penalty for all crimes; in October it was listed as one of the “top improvers” by the Mo Ibrahim Index on Governance in Africa—with data showing positive changes made in safety, the rule of law and human rights. Just this month, steps are being taken by the National Assembly towards ending its gender discriminatory nationality law. The necessity to reform the law was advocated by the Equal Rights Trust and partners the UNHCR, Global Campaign for Equal Nationality Rights and Focus Development Association during an Assembly session at the beginning of November. The President of the National Assembly, Mr Jean Max Rakotomamonjy, agreed to put a proposition de loi (a draft law which emanates from one of the MPs rather than the government), before the National Assembly for consideration before the end of its session in December. Over 20 MPs also signed a Statement of Commitment to reform and a core group of MPs agreed to push forward the reform within the Assembly. Acceptance of the proposition de loi would entirely change the lives of many across Madagascar. 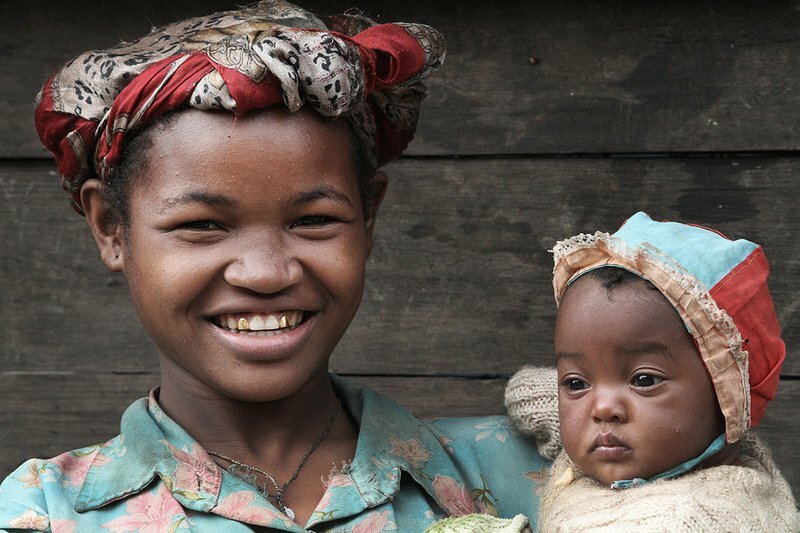 A Malagasy mother and child. Madagascar is one of 27 countries worldwide which continue to deny women the ability to pass on nationality to their children. Madagascar is one of 27 countries worldwide which continue to deny women the ability to pass on nationality to their children on an equal basis with men, a fact that a recent report we published shows has a devastating impact on the children of women affected by the law. Children are often left stateless and unable to access essential human rights such as education, healthcare and jobs. Without identification documents they are at risk of being arrested and are unable to travel freely. Further, mothers of these children often suffer from depression and feel a sense of guilt and shame. The precise number of stateless people in Madagascar is unknown, the UNHCR puts the figure at anywhere between 2,200 up to 100,000, but there is no doubt that the nationality law has significantly impacted on statelessness. On the ground, since 2011, national organisation Focus Development Association has been spearheading a group of civil society organisations and activists to advocate for the urgency of reform. “It is frustrating. For the officials, I am not Malagasy, but I was born here, I am Malagasy,” Yousef Abdallah told us. Yousef’s father abandoned his mother when she was pregnant. Unable to gain nationality through his absent father and prevented by the law from obtaining nationality from his mother, Yousef has been left stateless. Without official documentation he has been unable to find work and relies on his mother to support him, his wife and their newborn child. “I would like him to get a job, a degree, to become a mechanic, but he can’t do that without documentation. I would like him to have all this so that he can have a stable situation,” said his mother, Sofia. Our report found that families like Yousef’s are pushed further into poverty as a result of the law. Already restricted from working in legitimate, well-paid jobs, they must pay more for services such as healthcare and education as they are considered non-nationals. “I once had a problem with my nose. We went to the hospital and when it came to purchasing the drugs, they declared we were foreigners. Then they set a high price of the treatment. It was too high—instead I suffered with the pain,” explains Yousef. The situation for Yousef and many others could be changed in a matter of months. If the President of the National Assembly stands by his commitment and a proposition de loi is both put before and passed by the Assembly, this would represent only the second time that a law emanating directly from an MP rather than a ministry of government would have been passed (the first time being in relation to the abolition of the death penalty). It would clearly signal that the Assembly takes its commitment to the human rights of all people in Madagascar seriously and further illustrate that the Assembly has the power to legislate directly for human rights. It would also send a strong message that Madagascar is serious about resolving issues resulting from its recent political instability as well as pre-existing violations of human rights.